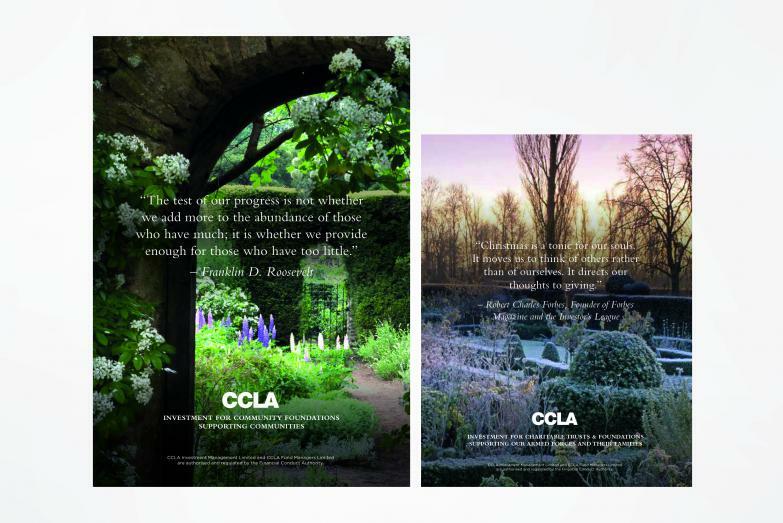 10 years ago we created a joyful brand that helped to position CCLA as a leading fund manager for UK charities. 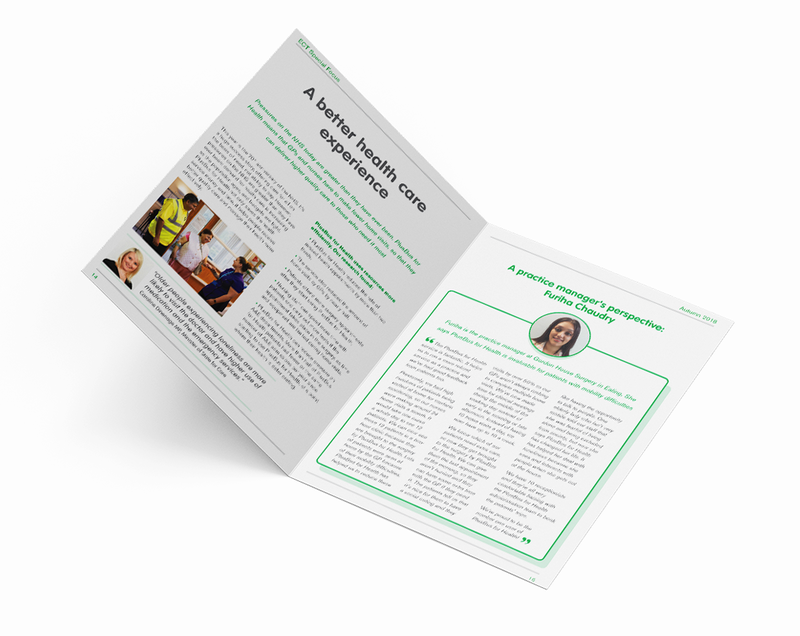 In 2014 we were asked to rebuild their website and help evolve the brand in order to attract investment from largest charities by appealing to sophisticated investors and philanthropists in the City. CCLA’s brand and website needed to connect with and engage with intelligent, financially literate charity chairs and trustees, whilst maintaining integrity with CCLA’s charitable purpose. 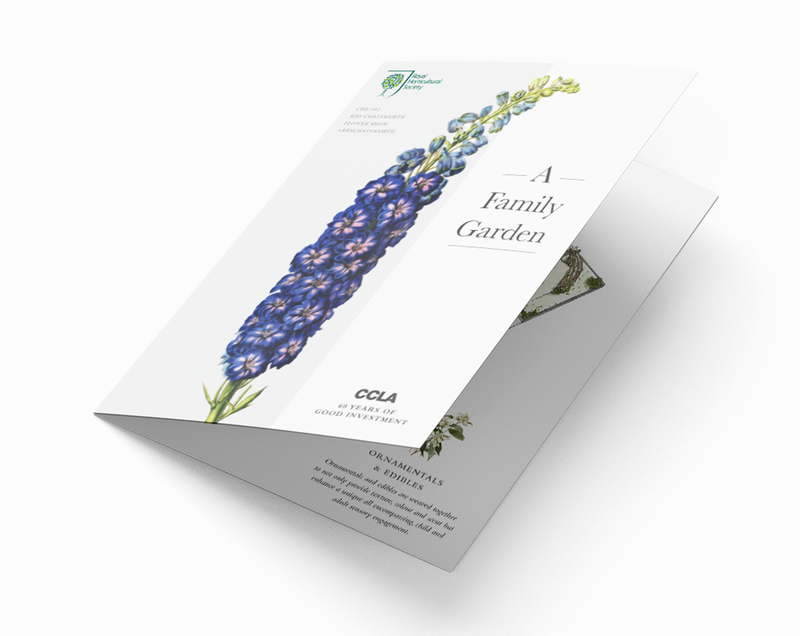 The CCLA brand was built around the story of an English garden, lovingly pruned and tended – a metaphor for its responsible investment strategy. 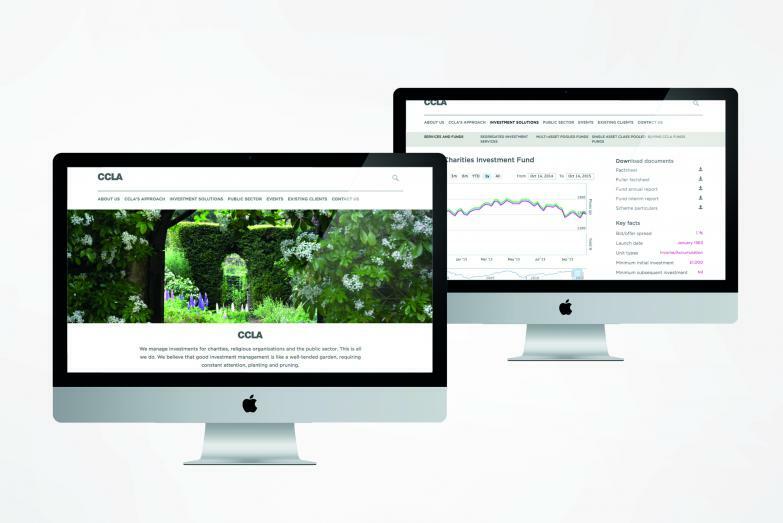 Grey and white were used as neutral, calm colours to create a smart and modern interface, whilst full-screen images of gardens were used as an elegant yet bold differentiator from other fund managers. 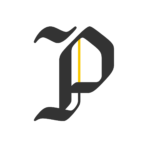 Complex graphics illustrate fund performance, demonstrating rigorous standards and a commitment to transparency. Attention to detail was key in our designs prosperity to the English gentlemen and women, CCLA’s key target. 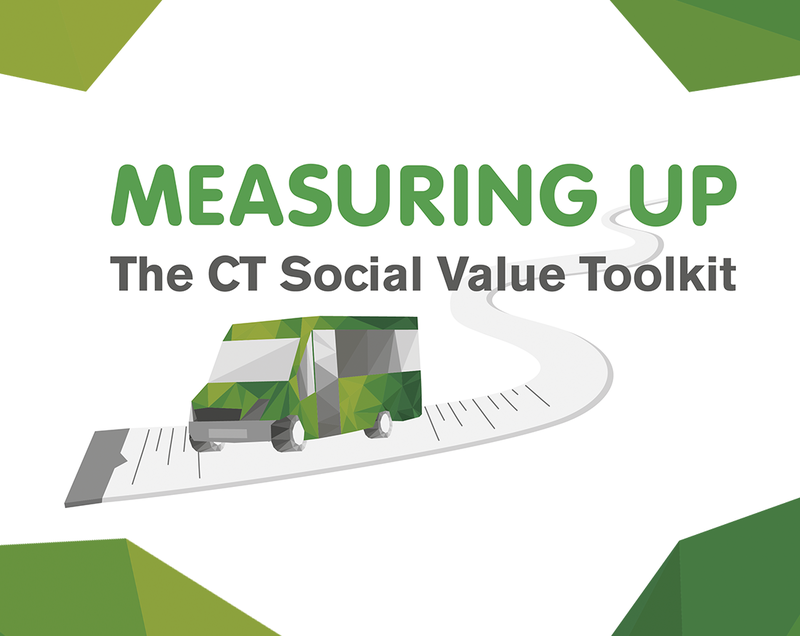 Since going live in September 2015, CCLA’s website has been well received by its thousands of charity clients.